So implores an editorial on the front page of Nanjing Daily this past Friday. There’s a lot more of this sentiment appearing in local political media these days, and for good reason. While Chinese senior leaders meet up in Beidaihe, provincial-level and lower officials have been exhorting the Communist party rank-and-file to support Party chairman Xi’s agenda. They’re doing so because that agenda isn't being met with universal acclaim. 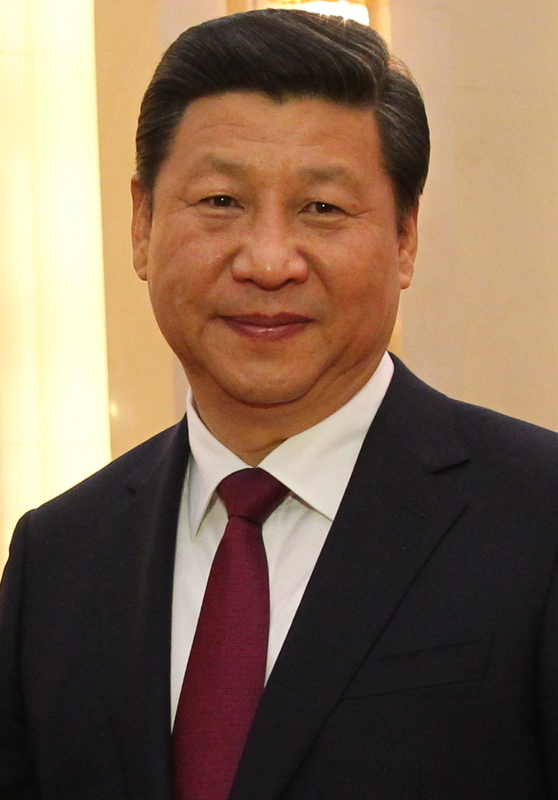 No political agenda in China ever is--and Xi's is especially profound. That there are differences of opinion in the Party ranks here shouldn’t be surprising, given the issues at stakes in the upcoming 19th Party Congress—issues about what sorts of policies get pursued. Xi’s July 26th speech spelled out those policies, as it focused on the achievements under his leadership and where he and his allies want the Party to go. Those are code words for rejuvenating the Communist party, which is what Xi has been emphasizing every since he assumed leadership. Xi doesn’t see that task as nearly done. Xi also claimed credit for a new approach to development, “towards higher quality, something more efficient, more equitable and with a more sustainable direction.” Development, in other words, that goes beyond just economic growth and embraces qualitative measures. That’s not new, but it now has Xi’s express imprimatur. But more than a few local officials feel fettered by Beijing’s strict oversight of how they pursue growth, and want more latitude. So Xi's appealing to those who already like his approach of targeting certain provinces for special support, such as innovation in Jiangsu. That’s Xi signaling that those accomplishments were goals he guided the Party to, and that the process isn’t done yet, in part because “reform” has a different meaning to various political and local interests. Reform in China's Beltways is different than in China's Rust Belt. And in a realm that’s more important than many analysts recognize, Xi’s speech noted that “we’ve strengthened the party's leadership in ideological work and consolidated the unity of the Party and its unity with society”. This is Xi making the case that what they’ve done is begin to construct a new political approach for the Communist Party, returning to its mission of being close to the masses, more relevant to a society which doesn’t see the Party as illegitimate but just largely uninterested. That focus truly distinguishes what Xi’s doing from his predecessors, who largely saw the Party as looking to run the economy better, and keeping social stability. But that departure also makes Xi’s agenda vulnerable. Xi has run into resistance before, even opposition in some realms. But he’s always handled it. He wouldn’t have moved against Zhou Yongkang and his clique unless he saw them as anti-reformists, representing policies Xi viewed as inimical to the rejuvenation of the Party. Zhou and his conspirators were a throwback to warlordism, looking to establishing political fiefdoms instead of making policy for the modern era. Nor would Xi have sought to gain stronger control over State media if he believed that his messages were being broadcast loud and clear and in a timely manner. They weren’t, and so he and his allies acted. There should be no mistaking Xi's strategy as anything but bold and often quite brilliant. Of course, Xi and his supporters are on a constant lookout for those out to undermine him—but it’s about his agenda, not his authority. Politics in China is so much more about seeing plans accepted and implemented, not about whose guys are in what place. That’s necessary stuff, but insufficient to get an agenda sold. And Party Congresses are about agendas—not about power struggles, but policy questions. When Congresses work well for the leader in place, they help secure policies, as they did for Deng Xiaoping in 1978 with the Party’s move away from Maoism and towards economic reform. Every Congress since Mao's time has been about pushing a particular sort of change, or reforms that continue or are kickstarted. To realise his agenda at this Congress, Xi knows that he needs his supporters to speak up and to speak out; that he has enormous support, but it’s still incomplete. That’s why there are meetings at Beidaihe to hammer out agreements, and why there’s a Party Congress, the dates of which have yet to be announced. If Xi had everything lined up to go his way, why aren’t the actual times of the start and end of the Party Congress public by now? He doesn’t—at least not quite yet. and he and his allies know that they need to work for it. Which is why there’s so much attention in recent weeks to phrases such as “Unify thinking into a cohesive force” [统一思想 凝聚力量], and “highlight the actions of the core leadership” [彰显领导核心作用]. Words are actions in Chinese politics, and these statements (and other coverage) are exhortations for Party officials to line up behind Xi, his goals and strategy. It’s Xi, assembling his political troops locally, because without their backing, he fears his agenda will flounder. Xi knows that the coming weeks are about securing his agenda, not struggling for power. He’s got a lot of the latter; to get the former, he needs local officials to show their clear and strong support for his plans. Xi realizes that, even if many analysts don’t.